Looking For A Waterproof Scratch Resistant Wood Floor? 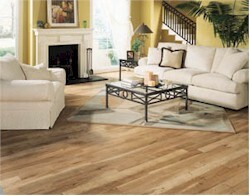 Introducing RevWood Plus RevWood Plus provides the look of wood with the toughness of revolutionary laminate floor. RevWood Plus is built to withstand the traffic and trials of your home. Waterproof wood floor that is also scratch, dent and stain resistant, that is RevWood Plus. Engineered Hardwood vs. Laminate If you're shopping for flooring, or even if you're just interested in home decor and remodeling, you've probably heard of both engineered hardwood and laminate. Are they the same thing? Different? How do you know which one is the best choice for any given room or project? This video compares and contrasts the two flooring categories, so you can make smart choices.